Our cabinets are all wood construction with quality and features that you will find only in custom cabinets - but at a fraction of the cost. 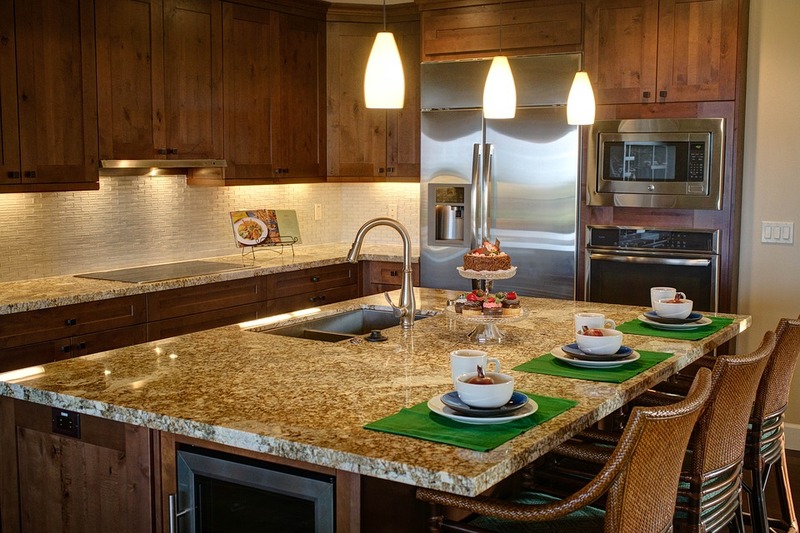 Most contemporary kitchen countertops are made from either quartz or granite countertops. 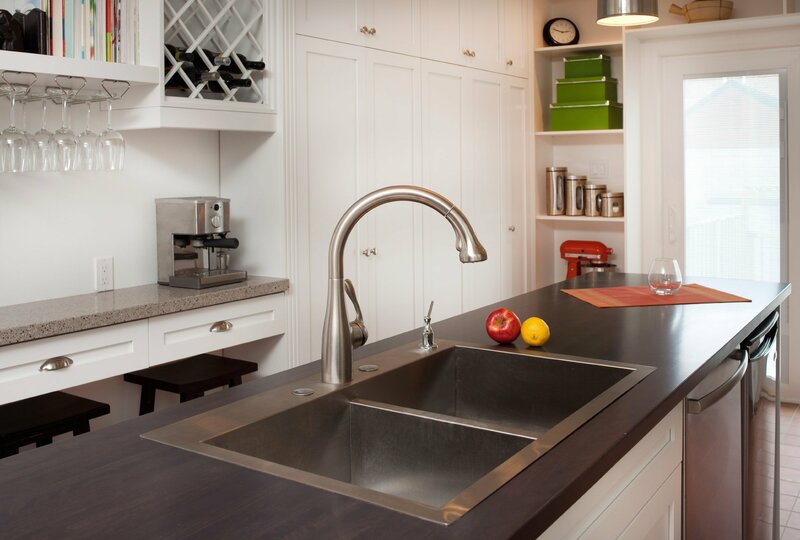 The strength and durability of quartz countertops makes them a very popular choice for contemporary kitchens. Quartz is not only able to endure physical stress with little damage or scratching, it also requires minimal maintenance. 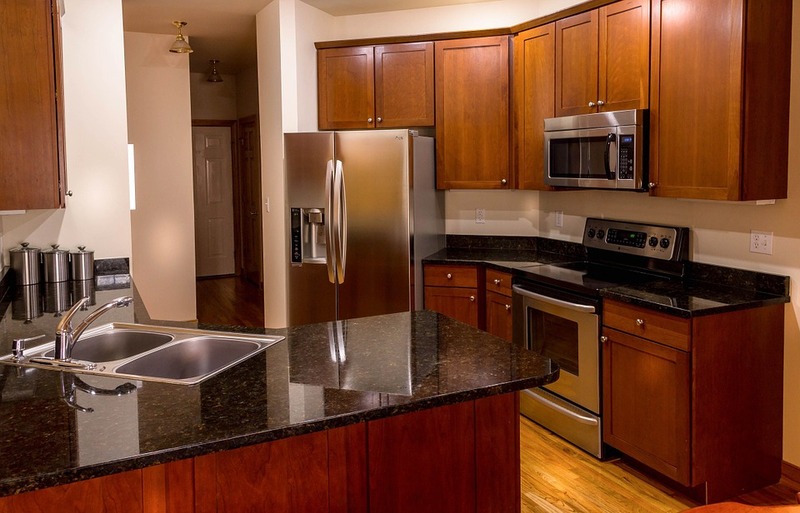 Granite countertops are also strong, with a high heat resistance threshold. They tend to have a very smooth texture and are popular with bakers. 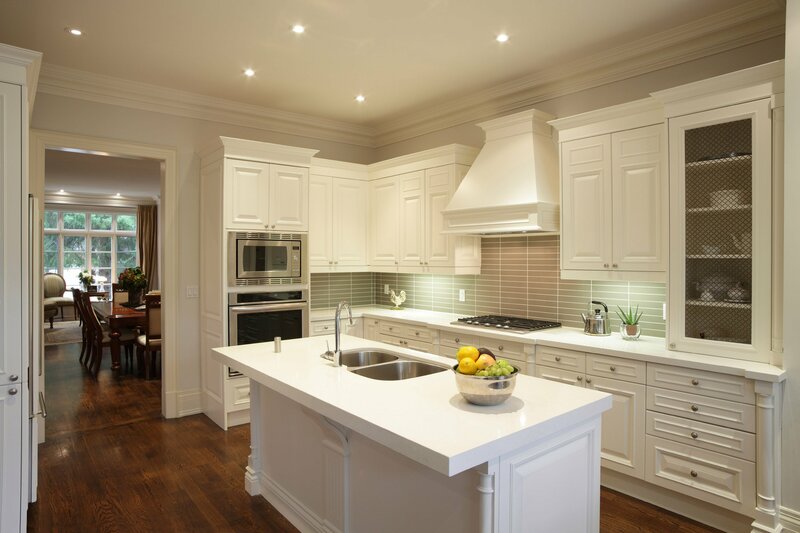 Kitchen cabinets are installed in kitchens to store kitchen equipment or food. While it may seem like they have been around forever, they were actually only invented in the 20th century. They tend to come in two forms: wall and base cabinets. During construction, you have the option of a face-framed, frameless or custom design. However, before you make any purchases, it is advisable to take precise measurements for best space utilization. Whatever countertop you choose, you have some slab material options. 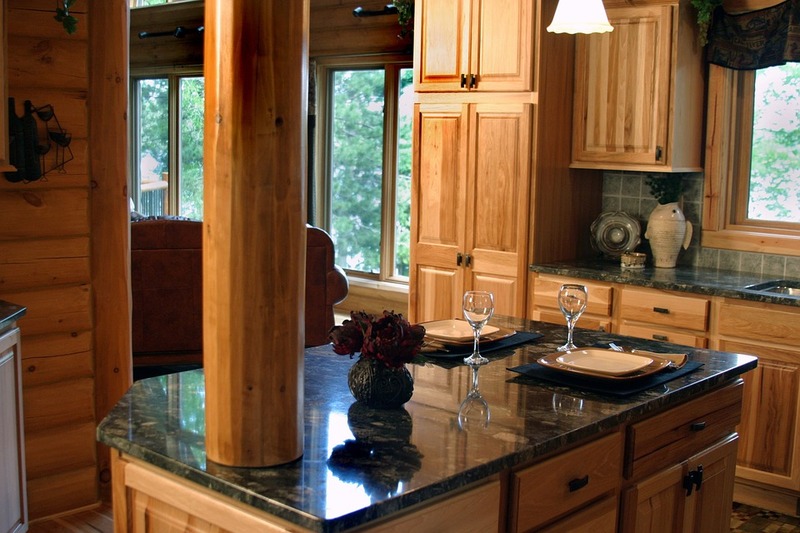 You can use wood, ceramic tiles, or granite slabs as countertop slabs. Granite countertop slabs are mostly used because they are impervious and less absorbent. Granite slabs are made from natural stone which makes them very durable, and are typically either 9 feet, 6 inches long or 5 feet, 6 inches wide. If you go for the custom option, you will have the choice of more storage. 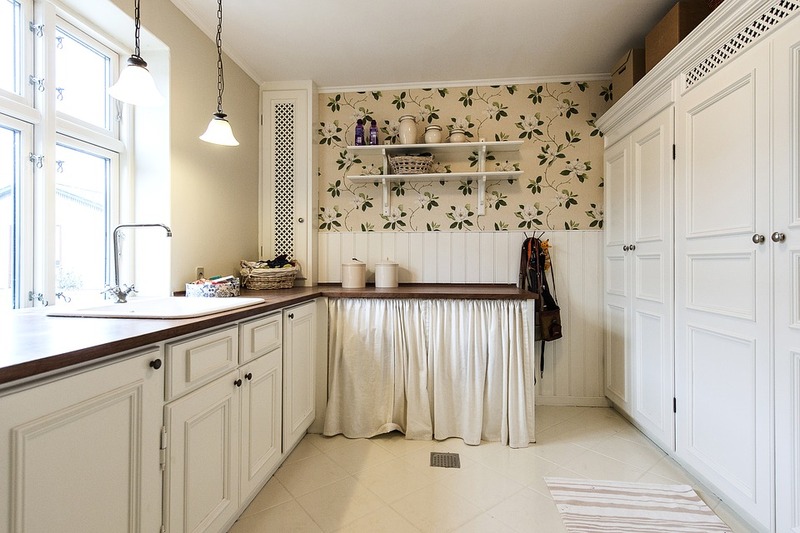 Compared to other cabinet designs, custom cabinets afford you greater material and design flexibility, meaning every aspect of a custom built cabinet can be constructed to your slightest detail. 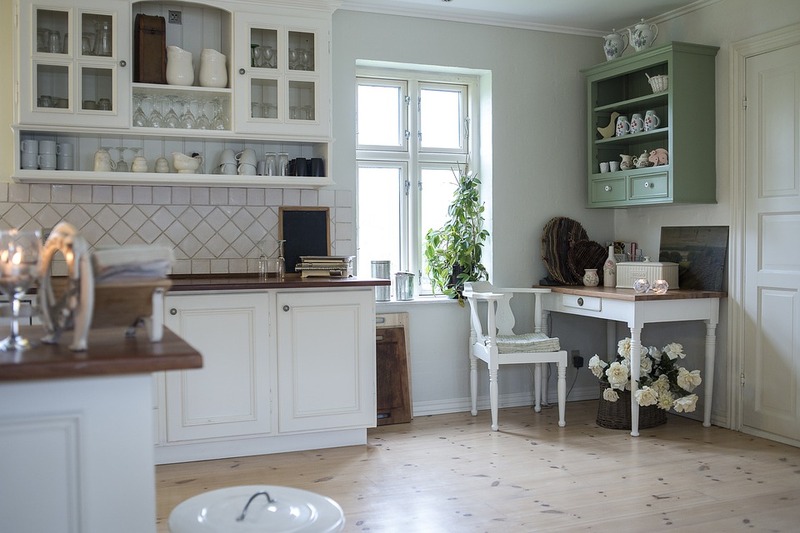 While this makes custom cabinets desirable, it also makes them more expensive. That being said, if design is more important than price, you can have your kitchen, bathroom, or bar customized to your own personal taste. 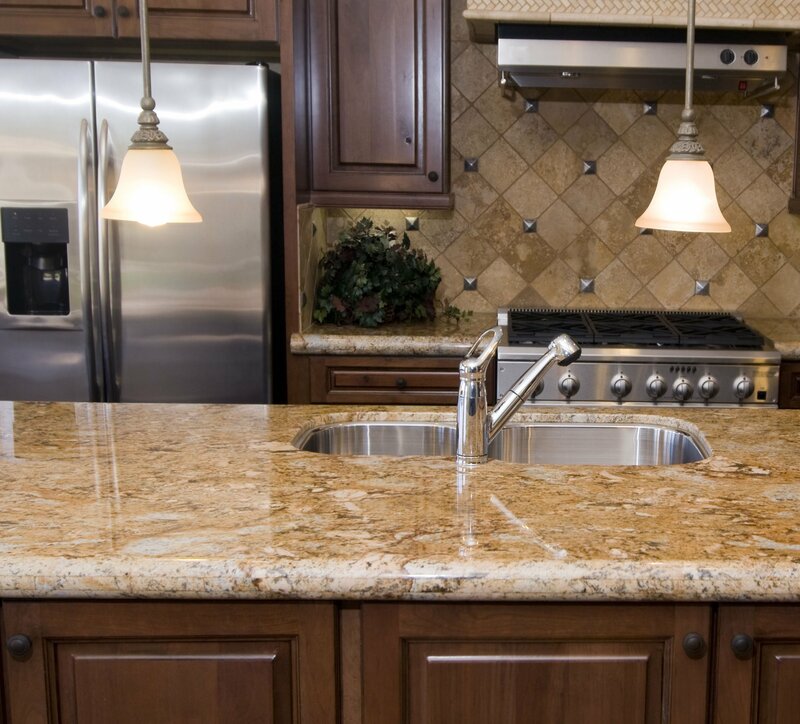 Kitchen countertops can be made from granite, quartz or ceramic tiles. Quartz countertops were invented in the 1960s by the Italian company Breton S.P.A.
Made from one of the hardest minerals on earth, quartz countertops are extremely durable. This makes them very suitable for kitchens. Because pigments can be added in the process of engineering quartz countertops, there is a wide variety of color options.